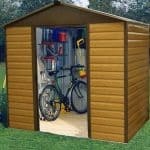 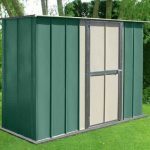 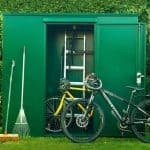 This sturdy Canberra Utility Metal Shed is a perfect solution for those with smaller gardens needing some essential storage. 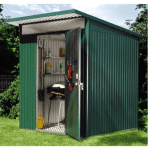 With 5’ x 3’ of storage, it is a great space for keeping your bigger garden tools safe and damage free, The flat roof of the shed allows for just enough storage space, while the galvanised steel exterior keeps the elements of the outdoors out, away from your things inside. 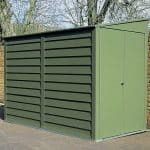 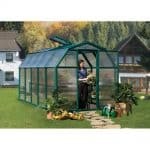 An extra-wide hinged door make it easy to access everything you have stored inside, with a 20-year non-perforation warranty, you are guaranteed to have a perfect sed that will keep for years with no rust or deterioration.